“The economic recovery is now on track in Portugal”, according to Miguel Frasquilho, President of AICEP. Committed to restoring public finances and improving competitiveness, the country has positioned itself as an attractive option for foreign investors looking to diversify their investment portfolio. European CEO spoke to Frasquilho about Portugal’s resurgence, and the reasons why businesses from around the globe are taking an interest. What are the biggest opportunities for the country? First, the Transatlantic Trade and Investment Partnership (TTIP) and the opening of the US to European firms will have a tremendous impact on trade barriers, price harmonisation, certification, and in eliminating red tape. Portugal, which geographically is the nearest European country to the US, will benefit from this agreement, as it will be easier and fairer to export, import and invest. Second, as part of the European Cohesion Policy funding programme, Portugal has been allocated €25bn, which includes €321.5m for the Youth Employment Initiative, €129m for territorial cooperation, and €115.7m in special allocation for the outermost regions of the country. Funds will be allocated in several areas, such as competitiveness and internationalisation, research and innovation, maritime and fisheries, and agriculture, and it will give an incredible boost to the economy in the coming years. Third, according to the National Ocean Strategy for 2013-2020, Portugal can extend its national jurisdiction to an area of around 40 times its terrestrial area, close to four million sq km. This extension will create conditions for attracting investment, both national and international, in all ocean economy sectors, and promote both growth and employment from one of our most important resources. Lastly, Portugal is now able to consolidate its fiscal balance and turn the current tax reform into a sustainable and stable policy in the coming years. Have you seen an increase in foreign direct investment (FDI) recently? Portugal has been welcoming business from all over the world thanks to its competitive operational environment, highly qualified human capital, and innovative, business-oriented culture. The country has seen significant growth in the shared services and outsourcing industry. During the last decade, several organisations selected Portugal to establish new service centres. The flexibility and skills of the available labour force, state-of-the-art telecommunications, high-quality real estate and employment-oriented grants are among the country’s key advantages as an investment location. In the manufacturing sector, metal and mechanicals, automotive parts, technical textiles, medical devices, equipment for renewable energy, applied electronics, information technology, software development and aeronautic components have all seen steady growth. As a result, the sector is the country’s second biggest (22.5 percent), after wholesale and retail trade (33.1 percent). Concerning location and market access, Portugal is geographically located on the west coast of Europe, with the Atlantic Ocean on the west and south, thus placing it in a strategic position within the triangle of Africa, Europe and the Americas. The country is also a member of the European market, which represents around 500 million consumers, and has privileged access to Portuguese-speaking countries like Brazil, Angola, Mozambique, Cape Verde, Sao Tomé and Principe, Guinea-Bissau and East Timor, all of which have important economic and cultural ties to Portugal and represent a 250 million-strong consumer market. 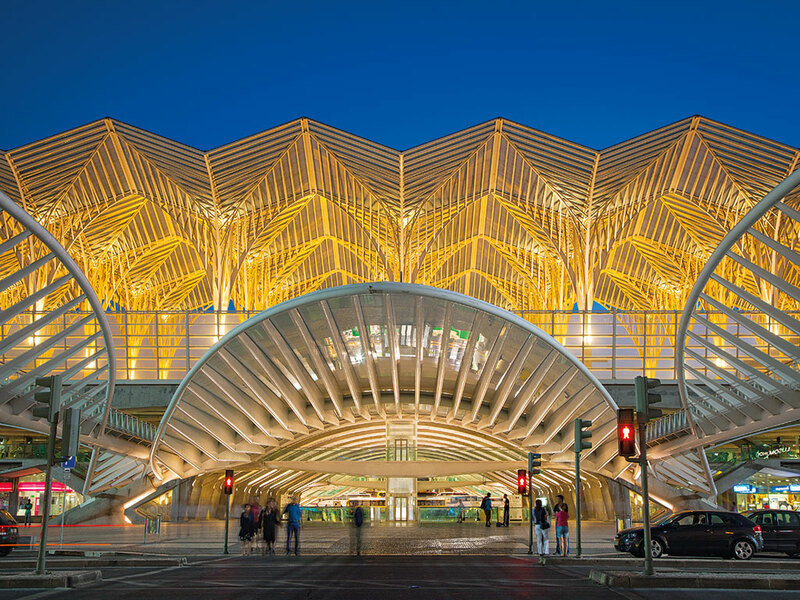 In terms of infrastructure, Portugal offers an impressive network of modern highways, seaports with railway connections, and international airports. The country has a state-of-the-art telecommunications network, and broadband penetration is spreading very fast – Portugal ranks fifth among OECD countries in this regard. Affordability is also a key advantage. According to Cushman and Wakefield, Lisbon is the eighth least-expensive location of 53 major cities worldwide, and Portuguese labour costs remain below the EU average. The country has also been cutting down on red tape; 90 percent of Portuguese public services are now online. Portugal is seen by the United Nations as a case study in e-government, and, as a result, the average time to set up a business in Portugal is less than one hour. On political and social stability, Portugal has one of the lowest crime rates worldwide and the Portuguese are known for welcoming foreigners. Great weather, reliable healthcare facilities and international schools are all part of the excellent quality of life. The number of students enrolled in tertiary education has been increasing, with engineering and science representing 43 percent. English, French and Spanish are the most spoken languages, and 500,000 foreigners live in Portugal, giving a wide language pool. Portugal has also promoted international partnerships with world-class education institutions, offering cutting-edge research and PhD/masters programmes. These include: Massachusetts Institute of Technology, Carnegie Mellon, University of Texas (Austin), Harvard Medical School, and Fraunhofer Gesellschaft. What role has AICEP played in this? AICEP is a national investment and trade promotion agency, working as a single point of contact in all phases of the investment process: pre-investment, incentives negotiation, settling-in and aftercare, through a dynamic approach focused on the client or investor. With regard to incoming FDI, the agency is focused on large enterprises in industry sectors that generate tradable goods and services, with positive impacts in foreign trade, i.e. export-oriented sectors. AICEP’s corporate and investment department is dedicated to promoting and supporting inward investment, as well as retaining the investment of established enterprises. AICEP also offers an overseas network of more than 55 offices abroad, with competencies in investment facilitation, identifying new businesses, and lead generation. The network also provides local assistance to investors and assures the link with the FDI team at HQ. How do opportunities in Portugal differ from those in similar economies? Portugal has many advantages in relation to the rest of western Europe. Increasing labour flexibility, a committed and flexible talent pool witnessed by foreign C-level executives, good problem-solving skills, lower taxation levels, privileged economic relations with Portuguese-speaking countries, competitive wages and salaries, and great weather are chief among these. The country also differs from eastern countries, mainly in terms of business environment and labour. Portugal is ahead in terms of licensing procedures, starting a business, e-government policies, corruption perception and general bureaucracy. International employee surveys show lower attrition rates and absentee levels in Portugal, along with lower rates of nominal wage growth. How do you see the level of FDI changing in the coming years? The level of FDI is expected to increase in the next few years in Europe. According to the World Bank’s Global Economic Prospects report, published in June, investment is expected to increase by 2.6 percent in 2016 and 3.1 percent in 2017. Low interest rates and structural reforms will drive this growth. Portugal will follow the same trend, and is expecting to reach similar levels. Portugal’s fiscal consolidation plan and growth-enhancing structural reforms offer prime conditions to achieve sustainable and increased FDI levels over the coming years. AICEP has a strategic plan based on a policy of attracting investors who are expanding or finding appropriate locations in which to invest. We have defined the following targets for the next two years: increase the total number of foreign direct investment projects in Portugal by 20 percent; fully assign the FDI Scout team to approach target companies in selected key markets; retain and expand the investment of established companies in Portugal; promote job creation and exports; provide a complete and efficient aftercare service with a strong client-focus; and run roadshows abroad to promote Portugal as an investment destination, highlighting the opportunities available in the country.